What’s Next in Chris Bruno’s Projects? July 2017 – The Nomadic Store is launched. A new place to find useful travel essentials, gifts, ideas and generally just some awesome stuff to help you whilst out on the road, or once you’re back home. Hope you guys like it. Be sure to give me any feedback you might have. This is the start of something huge! You can see the first post “Why I plan to leave it all behind me in 2017” here. Since it’s the year of the “Digital Nomad”, although I’m not a huge fan of the word; it’s time to travel, see new places, meet new people and do it all whilst maintaining a business that requires my laptop (which I’m typing on now) and a half decent internet connection. Since December 10th 2016, I haven’t actually been in one place for longer than a week or so. Moving around, staying with friends and still accomplishing more than possibly ever before. Keep an eye out for more details and more updates. You can either sign up to my newsletter on the right or alternatively keep checking the home page. Hit me up if you have fun ideas, plans, places to recommend. I want to hear it all! It was a good year, for the first 6 months. Business was good, based in London and the “normal” had begun to set in. Travel to and from work on a train. Get work done in the office. Come home and sneak in a few cheeky pints around that. Work was solely focused on Social INK. And then Brexit happened! WTF UK????? We were hit hard and in the process of that happening, we had to make decisions. Hard decisions. The company went from a we to an I. Went from offices, to a laptop wherever I could find a seat! Slowly London changed to back at my Dad’s house in France (worse places to be). December everything changed. Mindset, lifestyle, choices, work… everything! Sooooo looking forward to 2017. See above! Sometimes you need a good old fashioned “kick up the A**E” to get you motivated and get you on top of things once again. We have rebranded our company after 6 years of being Just Consulting. Social INK is our new company name and we are proud to say our logo is now a registered trademark too. 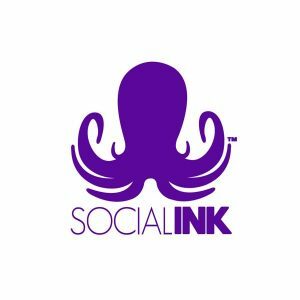 So, if you want to check out the site for your self you can do so here on www.socialink.co – We’re proud of where we have got to after 6 years of hard toil. But it’s not just a new brand, it’s also a new market, because we have opened our UK office. After 6 years of trading exclusively in Gibraltar, we decided it was time for a new and MUCH bigger challenge. So here we are, now a “multi-national” company. May 2015 – I’ve officially sold Your Gibraltar TV. A project I started, but once I had decided to leave Gibraltar, I knew it was only a matter of time till I would have to be separated from this project. I know the new owner well, and I know he’s going to continue to take this project forward, and continue to build on this project. I’ve had a few great moments during being an entrepreneur and one of the highlights of 2013 was being invited to New York, to cover Gibraltar’s Chief Minister, Fabian Picardo, addressing the UN Committee of 24, for the decolonisation of Gibraltar. It was a great experience. You can check out the short video below. Seems like forever since we launched it, but who would have guessed, because we’re still here and still surviving. The website launched in 2011 as an alternative to the local TV broadcaster and the long established local newspaper. It was an online alternative, which has grown significantly and has now been relaunched with an all new design. Check out all Gibraltar News on Your Gibraltar TV. 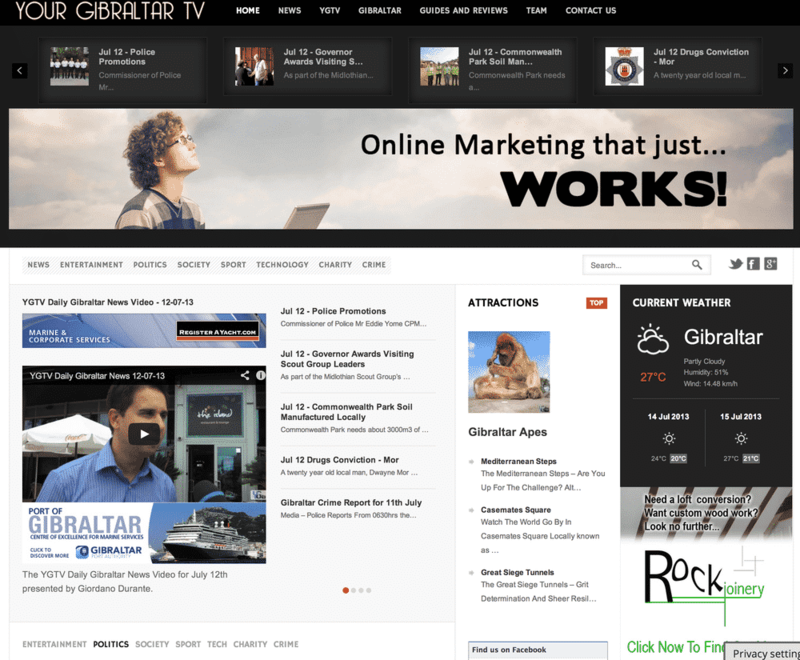 The ReVamp of the Your Gibraltar TV website in 2013.